A little over a year ago, Brian and I sat down with Jacob Tudor, a founding member of Viva La Strings and the principal second violinist in the Belmont University Symphony Orchestra. We connected with Jacob over our shared love for music, Nashville's hot music scene, and the ever increasing high demand for wedding ceremony musicians in and around Nashville. 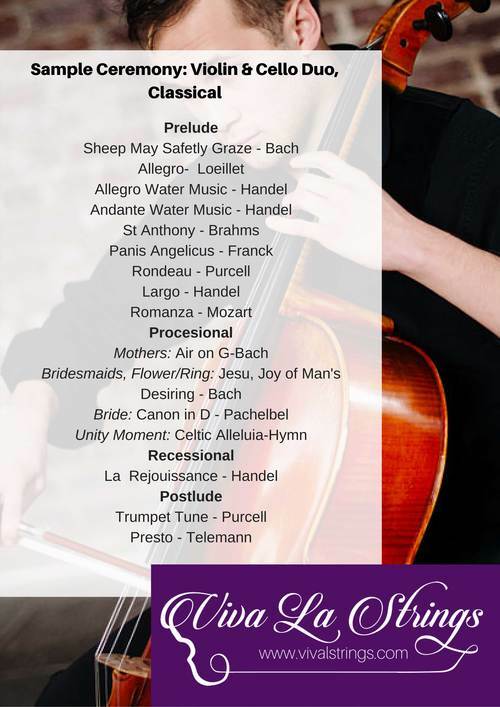 Other than just getting to know an incredibly talented musician, we had a goal in mind: to begin partnering with a professional string ensemble of ceremony musicians that we can add to our list of provided services and partnered vendors. 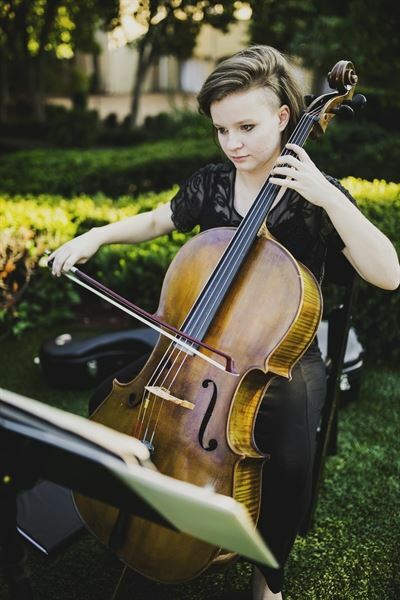 Since then we've had a lot of client conversations about Viva La Strings, and we can't wait to begin booking them more often for our upcoming weddings and events. This blog feature covers details about their ensemble, their repertoire, and photos from their past events. Keep scrolling to learn more about Viva La Strings and be ready to be insanely impressed..
"Viva la Strings is more than a group of musicians. We are friends, we perform together regularly, and we will provide the polished professionalism you expect when planning an event. 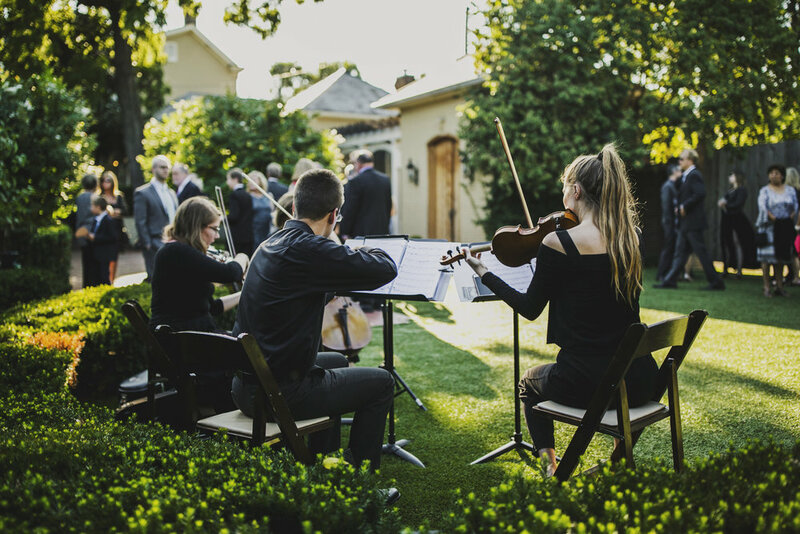 We know how to bring just the right musical detail and personal consultation to make yours an event to be remembered for a lifetime. Wedding ceremonies- We work with you to help design just the right musical ambiance that reflects your personality and taste. 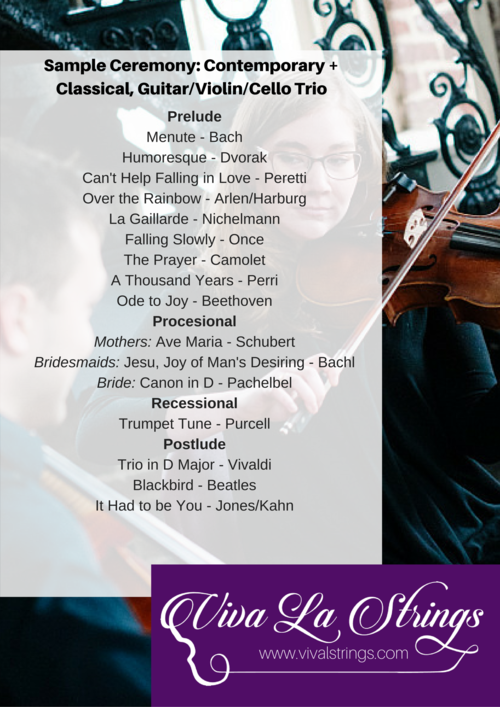 From traditional church to campy contemporary, or a mix of both, Viva la Strings has music for all tastes. We will work with you as you plan the parts of your ceremony, making your wedding day personal and special. Cocktail hour / Dinner music – Start your cocktail hour with our upbeat pop music, from classic rock to current pop. Then transition to soothing and sophisticated dinner music while your guests enjoy your hospitality, great food, and wonderful music. Corporate Events/ Private Parties – Your business is having an annual meeting and you want to get things started with that ice breaking reception. Viva la Strings guitar/violin/cello trio can bring a casual, inviting atmosphere to help your collegues relax before the business starts. Or that special birthday or anniversary is coming up and you are having a few close family and friends. A lovely duo of violin and cello can help create an intimate and personal feel for that special time of reflection. Viva la Strings also is also available for assisted living residential events, community concerts in the park, and brown bag noontime concerts and events. Furthermore, we supply musicians for musicals, to enhance church worship services, and recording sessions. Viva la Strings core ensembles include string quartet, string trio, string duo, guitar, harp, flute, keyboard, and vocalists. We network with professional musicians across Ohio, Kentucky, and Tennessee. Whether you are interested in hammered dulcimer, bagpipes, brass, woodwinds, percussion, or any instruments in between, just ask!" 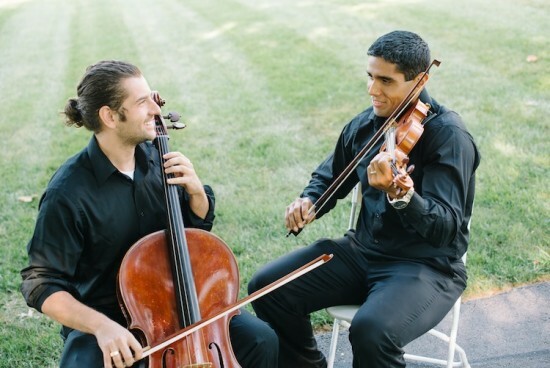 To inquire more information about Viva La Strings, check their availability, and/or booking them for your upcoming wedding, please contact us today!